I’ve been anxiously waiting to share this new weekly series with you. Why? Because it combines two Cs that I am really passionate about – Creating & Culture. Welcome to the “Creating Success Around the Globe” series. It’s a global blog hop designed to introduce you to new ‘creatives’ from every corner of the world. Every Wednesday a group of hosts from each continent join together to share inspiring creativity from their corner of the world. Blue Velvet Chair is proud to host the Europe segment for this global blog hop, and I’m super excited to bring you to new and amazing talents from across Europe each week. If you are as passionate about discovering creative soulmates from other cultures as I am, be sure and include your own blog in the link party at the bottom of this post. Who knows what new international connections you’ll make. And because you create, you’ll have more in common than you ever imagined! BVC: When did your passion for crochet begin? Annemarie: My passion for crochet began in the winter of 2009/2010. I saw the poufs of Dutch artist Christien Meindertsma in a magazine and totally fell in love with them. I thought “Hey, why not make these myself?”. So I started knitting. But then somebody told me I might like crochet better. So I decided to go to a crochet course to see if she was right. I learned some basic stitches, and one day later I finished my first frog and now I’m a total addict! BVC: What’s your day job? Annemarie: I work full-time with the government. I really love that job, but it’s nice to have something apart from work that’s very fulfilling. For me that’s crochet! BVC: I see that you currently sell on Etsy. Do you make money, and what’s your experience with Etsy? Annemarie: It takes a lot of time to sell items on Etsy. Don’t think listing your items is all you have to do! I spend more time on Etsy promoting my items than I do on making them. I do make money on Etsy, but of course you can’t charge for the time you spent on Etsy promoting – and you can’t charge the time you need to make the things I make. So I may not be on Etsy forever, but for now I love to be there! BVC: Holland seems to have very active craft bloggers. Why do you think that is? Annemarie: I’m not sure why there are so many active craft bloggers in Holland. I do think it’s a really easy way to share your projects and to be inspired. I think that’s what all bloggers like, but especially the Dutch. I think Dutch bloggers are also very supportive towards each other. Most of the Dutch people that visit my blog and my link party on Saturdays have been there from the beginning. That’s really really nice! Annemarie: I’d love to make a huge afghan, but I don’t think I’ll ever have the time for that. I would also love to make a craft book with my own patterns. Maybe one day I’ll succeed! 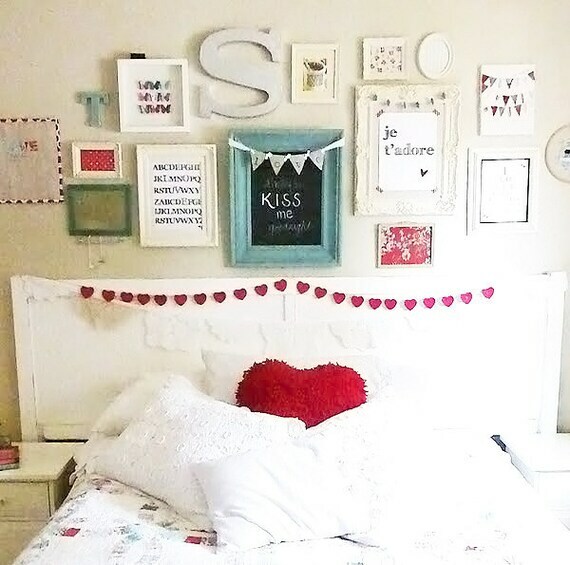 BVC: Can you share 3 other craft blogs that you think our readers should visit? 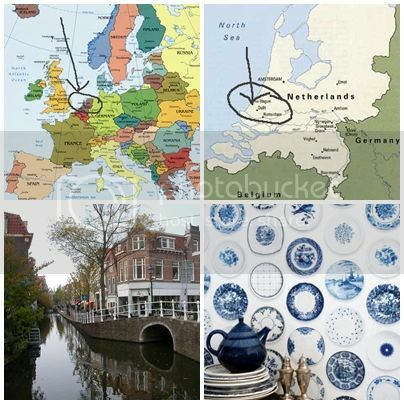 Annemarie: Go visit some Dutch blogs! Here are 3 blogs that I love! Ingrid makes the most lovely drawings! The blog is in Dutch, but just choose your language in the right column or scroll through to look at the pictures. I’m sure you’ll love it! Karin takes crochet to a higher level! I love her work and she was the first blog I followed when I started to crochet. Maaike is a Dutch girl from Amsterdam who has just moved to Toronto, Canada. I love her crochet and all creative things she makes. Annemarie: …definitely go visit the Eiffel Tower again! 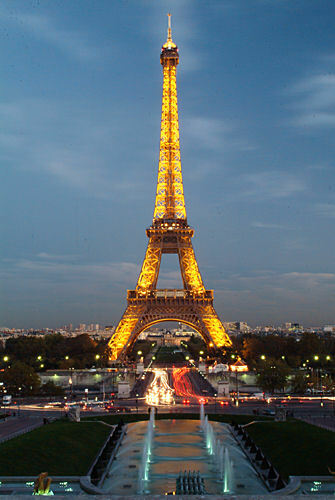 I’ve been to Paris several times and like everyone says, it’s so romantic! If I went now I’d take my boyfriend with me. We have never been to Paris together. I don’t know why because Paris is only a few hours by train from where we live. Well, maybe next year because this year we’ll be in London! 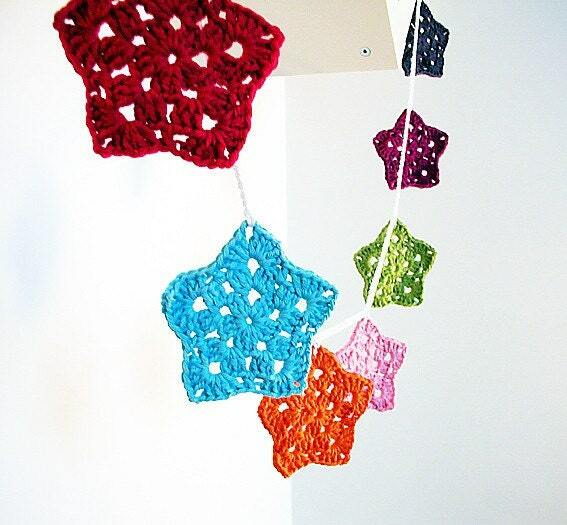 A big THANKS to Annemarie for taking the time to share her passion for crochet with us all. What I enjoy most about visiting her site are the clean colors in everything she creates. 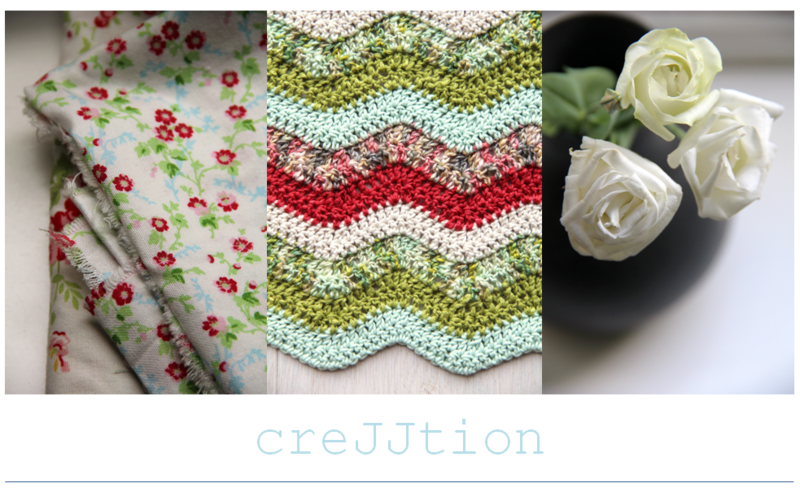 I also link up some of my eclectic repurposed projects with her Saturday link party – and I’ll tell you what, her fellow Dutch bloggers are really supportive even though my projects are a bit outside of their focus of crochet and knitting. They visit my blog, have a look around and interact. So I can definitely recommend connecting with Dutch bloggers! If there is one thing I’ve learned through creating, it’s that we all have a special connection, regardless of culture or country! Make sure to visit the other continent hosts below (simply click on their icon) for other exciting talents across the world. Hosts for South America and Africa recently became free, so if you are reading this and you live on those continents, let us know! Great first interview, Michael! And welcome to the Creating Around the World blog hop! Annemarie's blog is one of my favorites! Interesting interview! 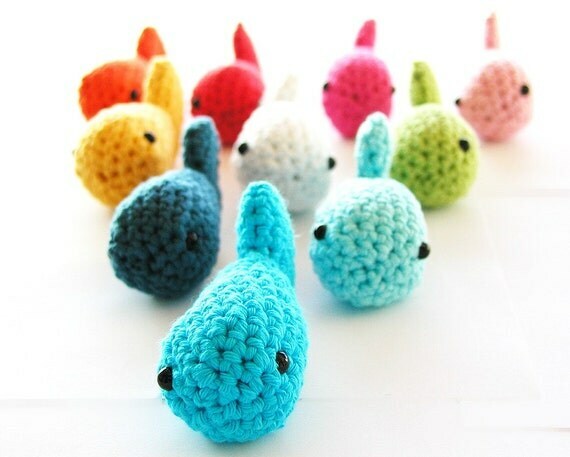 I'm currently learning how to crochet so always looking for crochet blogs for inspiration. It's so much fun to know a bit more of the how/when/why-s of fellow bloggers…love the series…great idea!! Annemarie – what a fun coincidence! To choose a random image from Google and the fact that your yarn shop is in that photo. Love it! Hi Michael! Thanks a million for having me for this blog interview! I really appreciate it! I'm off telling people to go to your blog to see your amazing projects. Talk to you soon! FANTASTIC interview Mike! 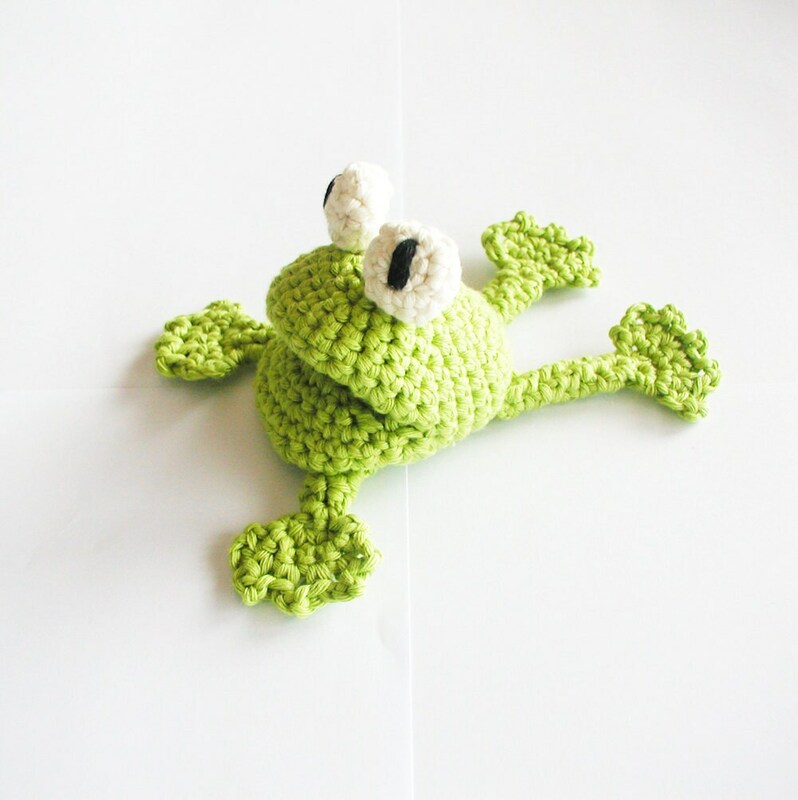 Annemarie does have a lovely blog – her crocheted creations are amazing! I love that you've asked her to recommend other blogs she enjoys too! I'm going to go and check those out now too!